The Indian flag will be raised in the Olympic Village with Nadeem Iqbal and Himanshu Thakur representing India in their disciplines. Indian athletes will march under the tricolour during the closing ceremony. India's Olympic status has been restored after 14 months in the wilderness for alleged corruption, the International Olympic Committee announced Tuesday after an ad hoc meeting in Sochi. India was suspended last year after Lalit Bhanot, a tainted official was elected to secretary general of the country's Olympic committee, in breach of IOC rules. Bhanot was jailed for 11 months for corruption linked to the scandal-hit 2010 Commonwealth Games. But on Sunday February 9, new elections for the Indian Olympic Association (IOA) went ahead without Bhanot. “The IOC observers told the [IOC's executive board] members that the elections were held in full respect of the recently passed [National Olympic Committee] constitution, which complies with all IOC requirements, including the clause that no person convicted or charge-framed can run for a position within the organization,” the IOC said in a statement. Three Indian athletes have been competing in the February 7-23 Winter Games in the Russian city of Sochi under an international flag, but to symbolize the lifting of the suspension the Indian flag will be raised in the Olympic Village. There was no word on when that would be. Narayna Ramachandran, the president of the World Squash Federation, was elected as the new IOA president and Rajeev Mehta chosen as the new secretary general. 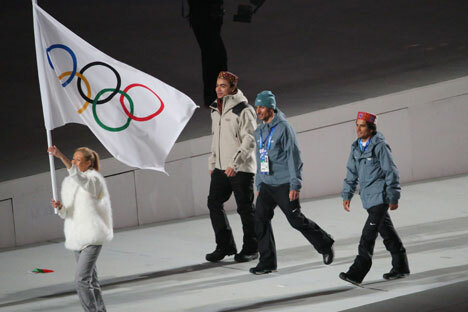 “This is unbelievable news,” Indian luger Shiva Keshavan told Itar-Tass. “We had been waiting for that very long, 18 months, and it is a great piece of luck to see this happen in the long run. Now two of my friends will be able to compete in Sochi under their national flag,” the luger said. Nadeem Iqbal will take part in the 15 kilometre classic run, which is on Friday, February 14 and Himanshu Thakur will take part in the Alpine skiing giant slalom event on February 19. Neither athlete is favoured to be in medal contention, but unlike Keshavan, will be officially representing India at the Sochi Games. Keshavan, India’s first ever Winter Olympian, finished in 37th place in the men's singles luge competition. The Manali-based 32-year old who competed in his fifth Winter Olympics, recorded a combined time of 3:37.149 over four rounds. Keshavan, who holds the Asian speed record, had finished in 29th place in Vancouver in 2010. His best performance was a 25th place finish in Torino in 2006. This article is based on reports from RIA Novostiand Itar-Tass.